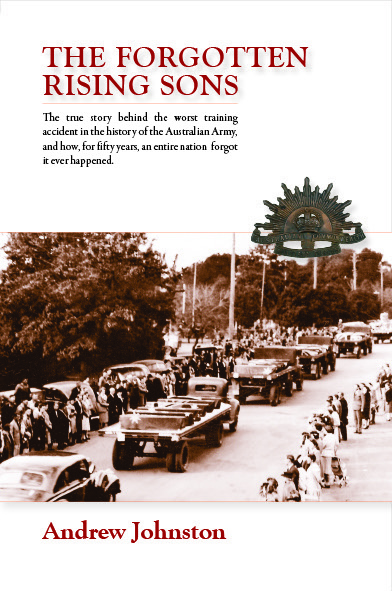 On Monday the 21st of May 1945, a single blinding flash of highly explosive gelignite violently detonated in an underground training bunker at the Royal Australian Engineer Training Centre ‘Kapooka Camp’, nine miles from Wagga Wagga, New South Wales, Australia. In less than a second, 26 of Australia’s promising young soldiers were killed. Many were mutilated beyond recognition. Following an unprecedented outpouring of public emotion and grief, including a Royal message of condolences to affected families, the largest military funeral and coordinated interment of troops in Australia’s history took place just two days later. Then, inexplicably, for the next 50 years, Australia chose to forget the tragedy ever happened. Based on the testimony provided to the Australian Military Forces, Court of Inquiry, by the very men and women who witnessed this horrific tragedy unfold, this story provides a chilling insight into the lives of the unfortunate victims, and explains just what went wrong that fateful autumn day in 1945 when an unexpected explosion tore open the heart of a country town, and stunned a nation.